Stepes’ industry-leading website translation services can help to quickly grow your online presence into all foreign languages. Stepes only uses professional, native translators with domain subject matter expertise to translate your website so it resonates with your international customers in over 100 languages. We have the experience and industry leading translation technology to ensure your website is translated quickly with the highest linguistic quality and technical accuracy, as well as being kept up-to-date with your source website changes and updates. Trusted by global companies from around the world, Stepes provides quality and end-to-end website translation solutions that your business can depend for years to come. Stepes’ agile website translation process is all about simplicity, speed and scalability. Like many companies before you, chances are you’ve invested time, money, and valuable resources in building your website. The last thing you want to do is go through another complicated, lengthy, and expensive process to translate your website into French, Chinese or any other language in which your firm plans to expand its business to. The good news is you don’t have to! Stepes can now get your website professionally translated as easy as 1-2-3 with speed and scalability. Our innovative and agile website translation solutions are helping hundreds of businesses to reach global customers quickly and easily. With Stepes, your website translation project becomes much simpler. Just provide us with your website URL and we’ll take care of the rest. Stepes’ game-changing website translation solutions greatly simplify website localization to ensure that your foreign language websites are up and running in a fraction of the time compared to using old fashioned offline translation services. Automatically extract text from your website for human translation. Stepes automatically crawls your website to retrieve content for translation, eliminating the tedious process of manually exporting content from CMS systems and backend databases. Translate the extracted content with pre-approved professional translators who have the right subject matter expertise. Stepes WT 2.0 technology creates localized websites with minimal human intervention. It uses proxy servers and CDN (content distribution network) so your multilingual website is up and running around the world, fast! Set up, launch, and host the localized website using our GMScloud technology. Stepes WT 2.0 technology creates the localized websites with minimal human intervention. It uses proxy servers and CDN (content distribution network) so your multilingual website is up and running around the world, fast! Once your localized website is fully up and running, Stepes keeps track of changes of your source language website and translates any updates using a fully automated process. This means you never have to worry about your foreign language websites falling out of sync with your main website. Stepes greatly simplifies the translation of modern websites created using WordPress, Drupal, and 3rd party CMS systems, tools, and plugins. Just tell us the URL of your website and Stepes will take care of the rest. Stepes website translation services use the versatile proxy technology so the entire translation and localization process is streamlined and automated for maximum efficiency. Stepes only uses professional human translators with subject matter expertise to translate your website content to ensure the highest linguistic quality. Best yet, Stepes keeps track of your source languages website for any future updates and translates them on-demand. Tell us your website URL and languages you want to translate into in order to obtain a 24 hour quote. Upon your confirmation, translation will kick off immediately with our pre-screened professional, native linguists. Stepes creates the localized website automatically for your review and approval before it’s deployed to the public. Drupal is an open source CMS that allows businesses to efficiently develop sophisticated and feature-rich enterprise grade websites at a considerably lower cost. Drupal’s highly customizable exertions and a large number of free design themes allow web developers to easily address all types of business requirements. Compare to WordPress and Joomla, Drupal is increasingly becoming the CMS of choice for mid to large enterprise website developments. However, despite the many powerful extensions, translating Drupal websites into other languages using traditional localization processes is still a tedious and time-consuming task. One of the major bottlenecks is that modern website development involves constant changes and the adding of new content on a daily basis. Drupal’s localization process alone makes translating these updates in real time nearly impossible. However, the ability to translate website updates on-demand and to dynamically upgrade the localized websites in real-time is critical for today’s digital economy. This is why you need Stepes’ fully automated proxy website translation solutions that are perfectly engineered for today’s agile website development using Drupal, with the fastest speed, best language quality, and overall lowest cost. Due to its ease of use and an enormous library of ready-made HTML design themes, WordPress has become one of most popular CMS systems used to create the world’s vast number of websites. Moreover, WordPress’ powerful 3rd party plugins allow companies to achieve virtually all business functionalities such as online shopping carts, product galleries, and customer dashboards. However, although WordPress is quite versatile in building the source language website, its ability to translate the content into other languages has been quite limited. While there are 3rd party localization plugins that streamline the initial translation process, the operation still requires much manual work to create the localized pages which can be tedious, especially for websites that need translations in multiple languages. Most importantly, none of the plugins on the market have the ability to track content updates in the source language website, extract that content on-demand, and create the updated foreign language pages dynamically. Are you looking for an enterprise wide interpretation solution? Stepes has the perfect answer. Just download the Stepes App and create a corporate account so that your multinational staff can always get language assistance in any language pairs imaginable. Better yet, we can also customize the Stepes App to your own brand for an even better user experience. Just give us a call or send an email to enterprise@stepes.com. Modern website translation often requires translating a large number of small, incremental updates into many languages quickly and frequently. These small updates, also called micro content or bite-sized content, make it highly inefficient and impractical for project managers to manually process each time. This is why you need Stepes fully automated website translation workflow via APIs. Simply sign up for a Stepes account to access our full list of human translation APIs such as order creation, progress tracking, and receiving translated content to enable a fully automatic translation solution around the clock and around the world. Stepes website translation solution is a full-service hosted solution using our GMScloud web services. With GMScloud, our clients never have to worry about setting up physical servers in different parts of world to serve content to local customers and ensure optimal performance anywhere. GMScloud has hundreds of web servers and uses global CDN networks to deliver website content at fast speeds to your local customers around the world and around the clock. Stepes charges website translation services based on the number of words translated. Please click here to see our full pricing information. To obtain a translation quote for your website, please click here. With Stepes, we offer global SEO services to translate your website meta information such as keywords and descriptions into the target languages so your site shows up in local search results. Just contact support@stepes.com if you need our SEO support. Stepes provides professional website translation services in over 100 languages. We only use native human translators with subject matter knowledge for all of our translation work to ensure the highest linguistic quality and technical accuracy. 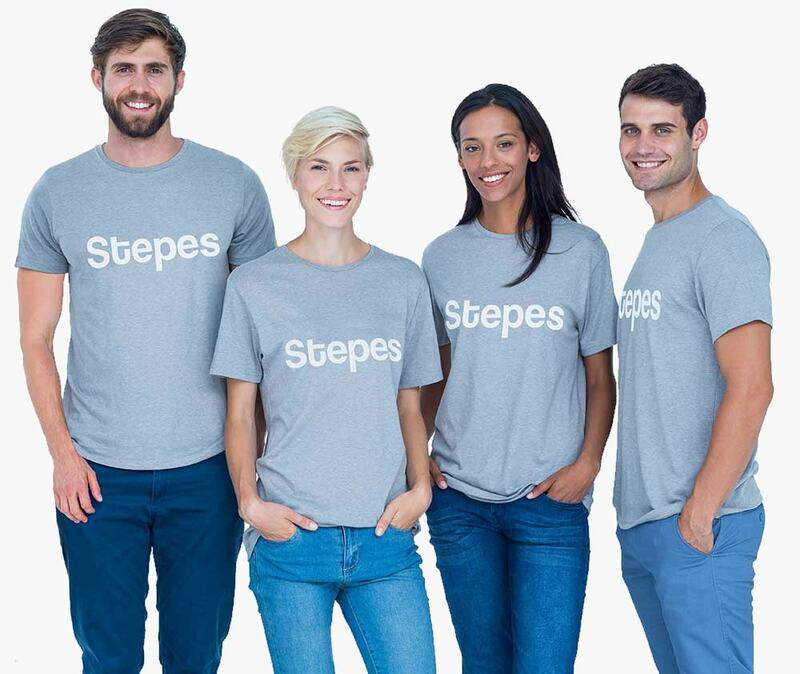 Stepes is a premier translation services company providing expert language solutions to Fortune 1000 companies and global enterprises of all sizes. Our translators, engineers, and project managers work hard to ensure the best customer experience and strive for complete customer satisfaction. We provide 24/7 support, over weekends and holidays, and deliver the best professional language services the industry has to offer in terms of language quality, fast turnaround, and overall cost efficiency. With Stepes agile and technology driven translation methodology, no project is too large and no customer request is too small. Don’t just take our word for it, test drive our highly flexible translation services today. Need Professional Website Translation Services? Subject matter expertise in 100 languages. Fast, easy, and affordable service.